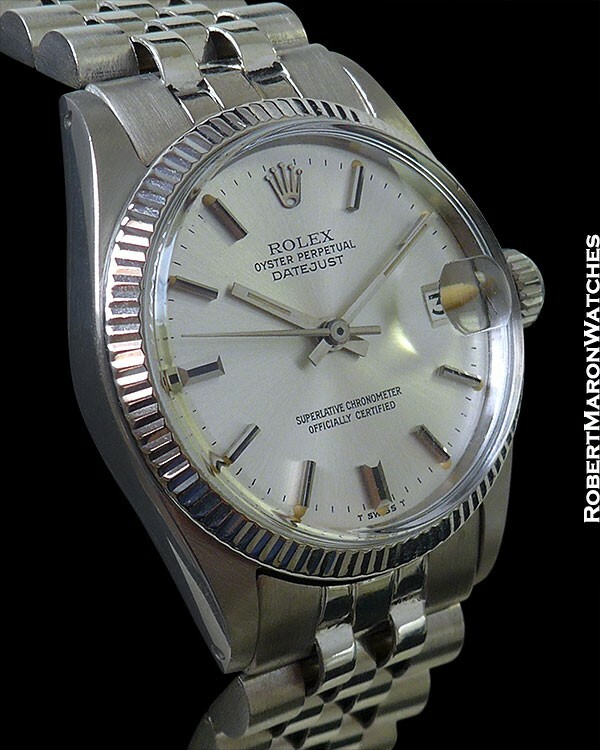 Here is a rare watch by any and all standards, and an eminently wearable and collectable timepiece as well. 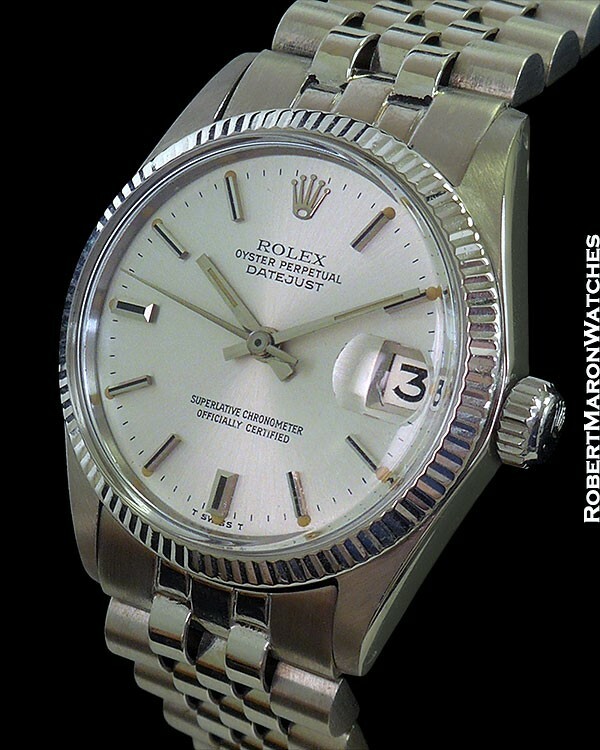 The Rolex Oyster Perpetual Datejust is the perfect watch. It’s is stylistically highly versatile. It is built like a tank. This 31mm diameter version is unusual, in 18k white gold it is highly rare. In new old stock condition since its 1969 production, this watch is a treasure. Oyster case in 18k white gold with white gold fluted bezel, screw down crown and plastic crystal. 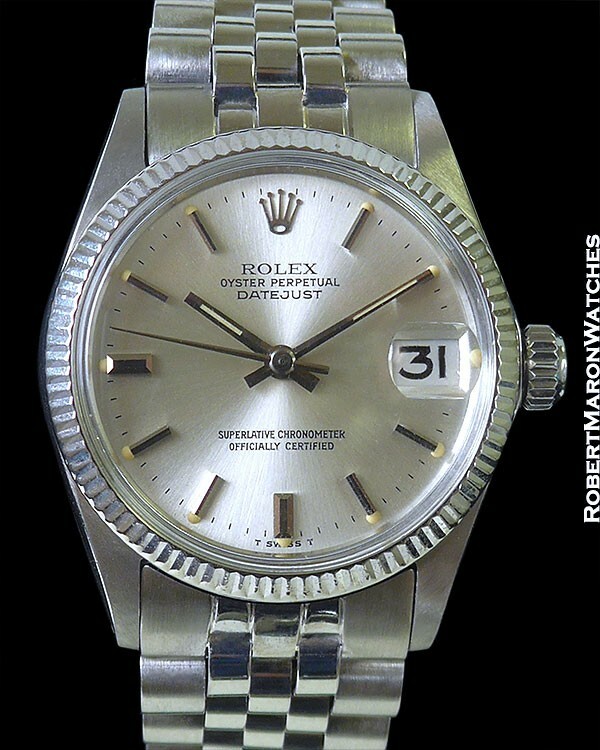 Rolex automatic winding Caliber 1161 movement with 26 jewels and adjusted to temperature and in 5 positions. Movement is a C.O.S.C. Certified Chronometer. Original untouched silver dial with vintage “door stop” markers and date at 3 o’clock. Bracelet is 18k white gold Rolex Jubilee with 3-71 date code.